Join 707 Operations on Saturday the 11th of May, as we head to Bendigo, for the Heritage Unwrapped Festival. Our steam locomotive R 707 will work hard, hauling our air conditioned (and heated) compartment and open saloon carriages. Our train will also feature our buffet car, serving a range of hot and cold food and drinks. Also featured will be our club car, serving a range of alcoholic beverages and snacks. 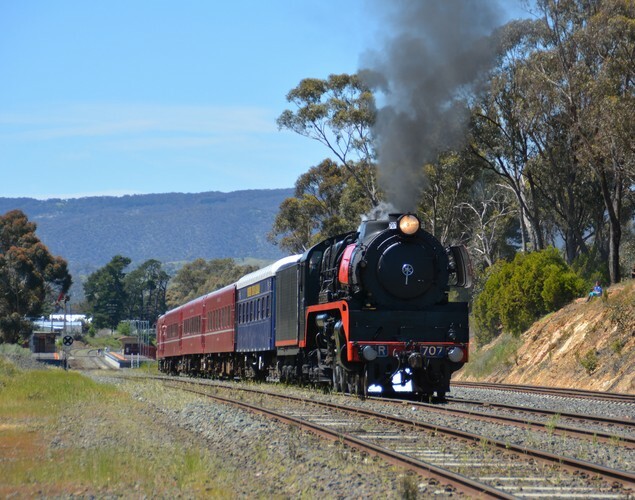 For this trip, there will be a limited number of seats available for those who wish to travel from Melbourne to Bendigo aboard our vintage train and return a little earlier by Vline train. Departure time from Southern Cross is 8:37am, with an intermediate pick up at Footscray at 8:46am, arriving at Bendigo at Midday. The return journey will see the train depart Bendigo at 5:30pm, with an arrival at Southern Cross at 8:34pm. Bendigo’s Heritage Unwrapped showcases a wealth of attractions, most of which are free or by gold coin donation. A focal point of the festival is the cities Vintage Talking Trams. 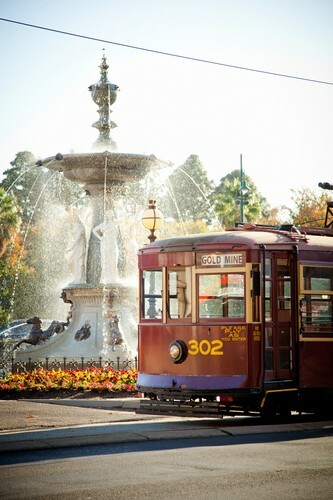 There is no better way to see the sights of Bendigo than aboard a beautifully refurbished Vintage Talking Tram. Take your time discovering the city by hopping on and off the tram to explore the many parks, attractions, shopping and dining facilities that are within walking distance of the tram stops. Present your 707 Operations rail ticket to the tram crews for free, unlimited rides aboard the trams! Step off at the Tramways Depot and Workshop. Discover the colourful history of our tramcar fleet as you explore the Depot. See first-hand the craftsmanship and techniques that are involved in restoring each tram to its former glory. Bendigo's fleet of Vintage Talking Trams have all been restored here in the Bendigo Tramways Workshop. Trams from all over the country, including Melbourne's City Circle trams, are also restored to their former glory right here. 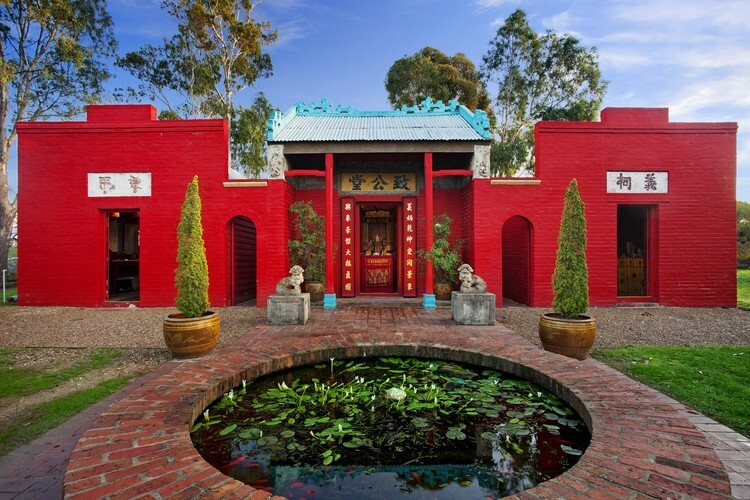 At North Bendigo Tram terminus, step off to discover Bendigo’s rich Chinese heritage at the Bendigo Joss House Temple. Step off at the Central Deborah Goldmine to explore the city’s goldmining history. The surface of the Mine retains many original buildings, such as the Blacksmith’s Shop, First Aid Room and Carbide Lamp Room. 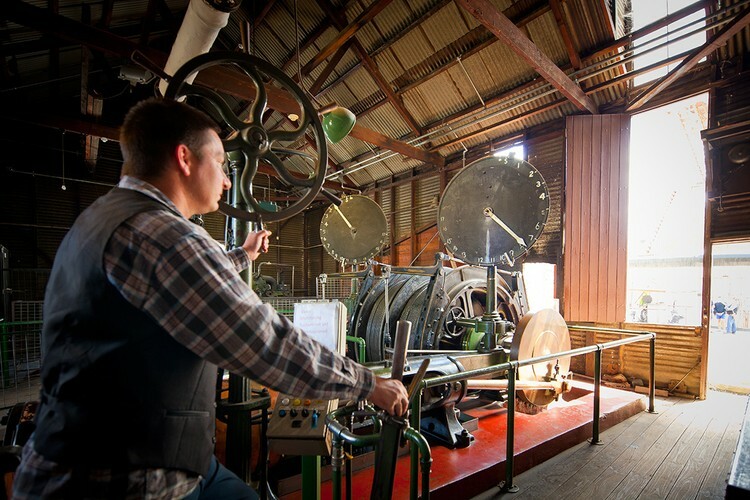 Be amazed by the Engine Room which contains the Winder that was installed in 1945 and is notable as the only complete working example in Australia. Or perhaps you would like to take an underground tour of the Mine? Become enthralled by Bendigo’s underworld as you are guided through the honeycomb of underground tunnels with one of our friendly and knowledgeable guides. With only the light on your cap to light the path you will discover what conditions as a miner were like during the harsh gold rush era. Bookings are essential and can be made upon arrival at the Mine. The Charing Cross tram stop is located in the very heart of Bendigo. From here, a wealth of attractions are within walking distance, including the Bendigo Art Gallery, the Visitor Information Centre, the Golden Dragon Museum, Soldiers Memorial Institute, the Shamrock Hotel and Rosalind Park. Bendigo’s Heritage Unwrapped Festival is a great day out for all ages and for those keen on discovering the history and culture of one of Australia’s landmark regional cities.